For the very best in portable shelter quality and value, consider a reliable canopy from Shade Tech. Aluminex-backed fabric ensures incredible UV protection (it blocks 99% of UV rays), keeping you and your guests cool and safe on even the most scorching summer days. This canopy has been constructed exclusively for your long-term enjoyment and convenience, from the powder coat protecting its frame from corrosion to an innovative lever tab for easy set up. 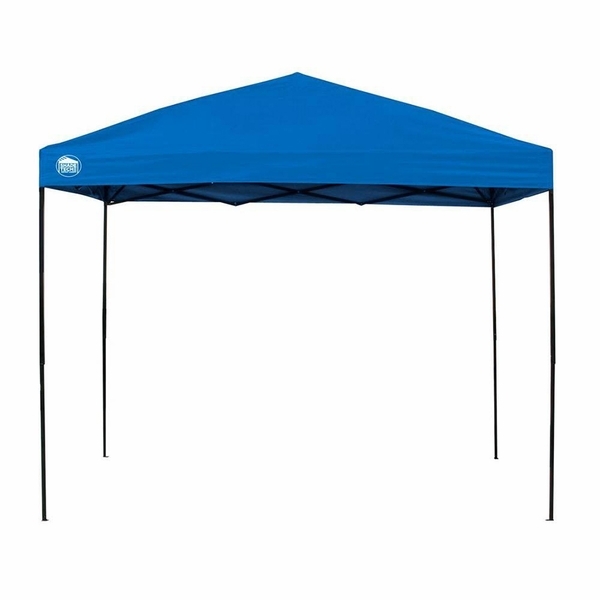 The canopy covers 100 square feet and is available in either blue or white. A wheeled bag for easy transportation is also included with your purchase.